Effect: The magician displays a wooden box that has two lids on opposite sides. One of the lids has six horizontal slots to allow a slight view of the interior of the box even when the lids are closed. There is also a hole on two sides of the box facing each other. 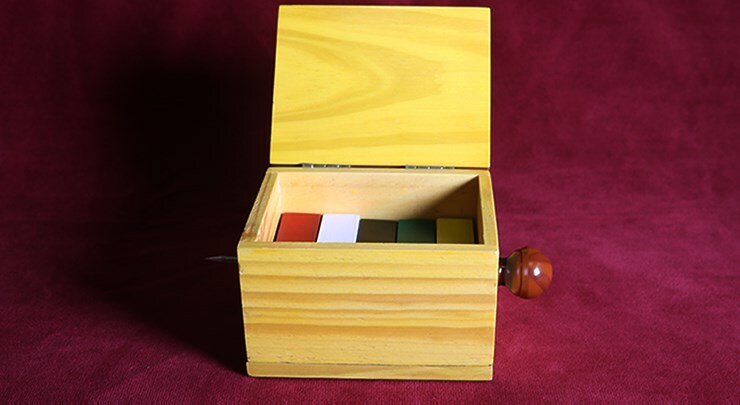 The magician displays five different colored rectangular shaped wooden blocks, each with a hole through the center. The magician asks a spectator to call out one of the colors of blocks. Let's say blue is called out; the magician places the blocks inside the box in any order and closes the lid. 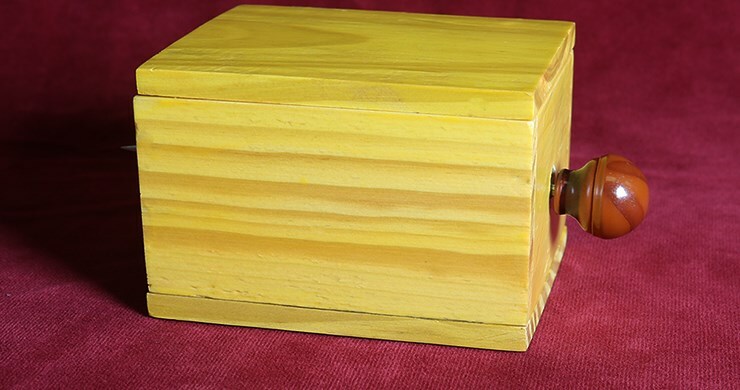 Next he shows a long, thin metal rod and pushes it through the holes on the side walls of the box threading through the holes of the colored blocks. The magician gives the box a shake and the spectator's selected color block, blue drops out on the table. The magician opens the box to the audience and shows that the four other blocks are still trapped on the metal rod. Unfortunately this effect just doesn't work well. The prop is a bit clunky and the required moves are suspicious. Other versions I have seen you can make out the colored blocks pretty well through the slotted side of the case but I this instance both lids might as well be solid. Too bad. I was looking forward to adding this effect to my dinner table routine.